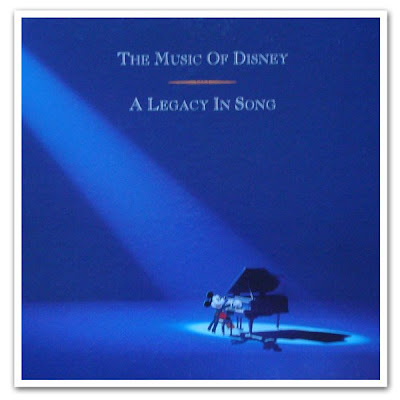 I purchased The Music of Disney: A Legacy in Song at the Disney Store when it was released in the early 1990s. I picked it up because of all the great movie music that was on it -- from classic cartoons, to live action films, and animated features both old and new. It even had a few theme songs from the afternoon cartoon series. The last seven songs on the third disc, though, are theme park music. The Mellomen singing Meet Me Down on Main Street, music from The Main Street Electrical Parade, Tiki Room, Pirates, Small World, Golden Dream, and a version of There's a Great Big Beautiful Tomorrow that isn't found in many other places. I was hooked. I had not realized before how well I already knew this music, and until I found this set I never realized that you could have the theme park music at home. We had gone to Walt Disney World every year from 1985 to 1988, but then not again until 1993 which was right around the time I got these records. So this treat coincided perfectly with my return trip to the World. Shortly thereafter, I found The Official Album of Disneyland and Walt Disney World CD at the Disney Store. It had actually been released a year prior to The Music of Disney, but I had never noticed it on the shelf. Every time we went to the Disney Store, I would pick it and read through the track listing, going through all the rides in my mind and singing along. But for some reason I never bought it. Flash forward to the spring of 1999, when my high school marching band took a trip to Walt Disney World. We did Magic Music Days and had a session with some cast members, and we marched and played through the streets of the Disney-MGM Studios Theme Park. On the last day of our trip, we had to catch the buses at the Transportation and Ticket center. I went in and saw The Official Album of Walt Disney World. It seemed like a good buy. And that's all she wrote for me. I listened through the album and just loved it. The Spectromagic Medley is fantastic (I would love to get my hands on the piano sheet music to this track). Illuminations and Remember the Magic also struck a chord with me (no pun intended). Since then, I have been picking up all of the CDs and records (and even an 8-track) that I can find. I think it is great that Disney has allowed their guests to take this piece of the magic home with them. While the earlier soundtracks were mostly songs, the more recent albums have also been including more area music. The background music is a great way to transport yourself to another place. You don't realize how big a role that music plays until you hear it outside of the parks. This realization struck me when my parents were on a Disney trip without me. They had called me at work from a pay phone. I could hear some music playing in the background, and I immediately said to my mother, "You are in Epcot, at the phones by MouseGear." She was shocked that I knew that. And so was I. At that time, I had not had much of a collection of background music so I wasn't too familiar with it all. It was merely the feelings that the music invoked...the place that it had transported me for that brief moment. Disney theme park music is a major piece of the magic that everyone travels so far to be a part of. Without it, the parks would not be quite the same. The architects and designers would have a much harder job of creating a sense of place in the parks. We have many, many people to thank for all of the great music and songs that have been composed for our pleasure at the parks. And a special thanks, too, to those people who continue to provide great souvenirs in the form of Official Albums. Great Post! 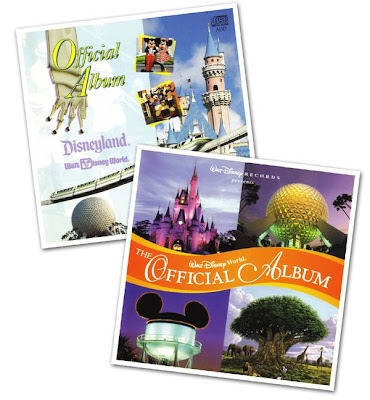 The Music of Disney box set is such a great set of CD's that are still in heavy rotation on my CD player. For me, this set was an introduction to Disney music beyond the animated classics. Disc Three has some great obscure music from early live action films. Some of that stuff hasn't been reissued since! Great stuff!